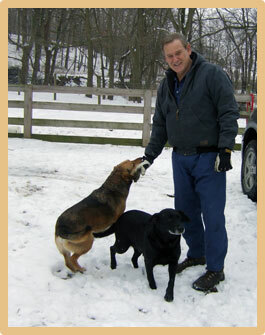 Opened in 1983, Tharp Animal Health Care Center, Inc. was founded by Dr. Thomas L. Tharp who had a vision to create a center for complete animal care. 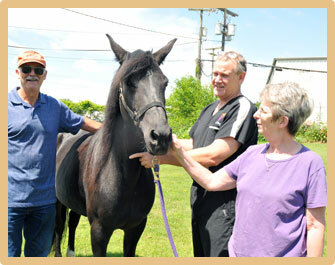 He felt Ross County and the surrounding area could benefit by providing veterinary services not only for companion pets but for the local farmers and large animal owners who also have a need for veterinary care. In 1984, Dr. Tharp purchased the Mt. Logan Animal Hospital and Boarding Kennel, a 4000 sq. ft. facility that provided 40 indoor outdoor runs and also was the location for grooming for 26 years. After extensive remodeling and the addition of a Health Products Store located in the waiting room and with the renaming of the hospital to Tharp Animal Health Care Center, this new location at 391 Marietta Road became the center of complete animal care that Dr. Tharp had envisioned. At Tharp Animal Health Care Center, we realize the need for medical care for all types of pets whether they are great or small in size. Whether you are a pet owner, a member of 4H, a farmer, horse owner or an owner of multiple pets large or small, we aim to accommodate you the best we can. Appointments can be set up for a home or farm visit to treat your large or small animal or you can set up an appointment to bring them to our facility. 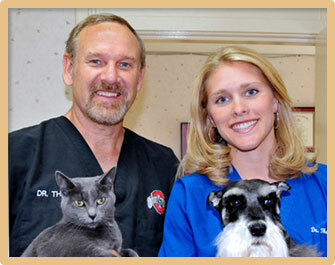 Clients can put their trust in Tharp Animal Health Care Center because the doctors and staff have the health and well-being of your pet as their highest priority. We have based our growth and reputation on our desire to find the correct answer in every case. The veterinarians and staff spend an extensive amount of time researching, talking with specialists and consultants and discussing cases together so that we may cover all aspects of your pet’s treatment. Follow-up examinations and communication with you, our valued client, is the hallmark of our veterinary hospital. The doctors’ education, training and skills along with their compassion for the animals combined with their desire to accommodate and please their clients, makes Tharp Animal Health Care Center the purr-fect place for your pet! Schedule to treat your small and large animals with one vet trip fee! Appointments can be set up for a home or farm visit to treat your large or small animal or you can set up an appointment to bring them to our facility. Whatever the reason or need, we will strive to accommodate you. Besides making a medical trip for large animals, we are able to provide medical care for your pets in the privacy and comfort of your own home. Our house call services include wellness examinations, vaccines and diagnostic laboratory testing. If hospitalization or surgery is required, your pet will need to be transported to Tharp Animal Health Care Center for further care and evaluation. When the time comes to say goodbye to your pet, we can come to your home to provide gentle, peaceful, and compassionate home euthanasia. Our goal is to make sure every pet is able to receive the quality and compassionate veterinary care that he or she deserves. If you are interested in a house call for your pet, or if you have any questions about our pet house call service, please call our office. Also, don’t forget to schedule veterinary service for your pets if the veterinarian is already planning a vet call for your large animals or equine. The doctor can treat both your small and large animals with one vet trip fee! It is important that we hear from you how your pet or large animal is doing and any concerns you may have. It is also our responsibility and duty to communicate to you the information necessary to provide the best and most compassionate care for your animal. Our medical knowledge is of little use if we do not share and educate our clients on how best to care for their animals. Caring for your pet does not begin and end at our doors. It is continuous and requires prompt and open client/doctor communication. If at any time you need to contact us in regard to your pet, please feel free to call us at (740) 772-2226 to have your questions answered or to schedule an appointment. It is our desire to offer excellence in veterinary care for both small and large animals, as well as boarding and grooming care to Chillicothe and the surrounding areas. Please take a moment to contact us today to learn more about our veterinary practice and to find out more information about how Tharp Animal Health Care Center can serve the needs of you and your cherished pet, whether great or small. Also look around our website so you can get to know us better as we look forward to getting to know you and your pet.